In the art of singing, usually it is the simplest and most basic things that help one become better, yielding unbelievable results. Yet these things are so simple that many people often forget or just overlook them. In addition, though most people consider singing to be a talent and believe that individuals with inherently beautiful voices are born that way, it is true that even the most professional singers really practice hard to remain at the top of their game. Take a look at this article to learn some of the most important tips that can help you improve your singing voice and perform better in this great art. 1) - Pick Songs in Your Vocal Range: When you start singing, it is important that you choose those notes that you are sure you can hit perfectly. It is better to sing a simple song and try doing it really well than choosing a difficult one with notes that you may be end up being unable to reach and articulate. 2) - Be Yourself: Do not struggle too hard to be like the recording artist of the song you have chosen to practice with. Just be yourself and sing the way you feel it! Remember that your unique voice is what is going to make you stand out in the long run and cut your niche. Also, it's good to dress fabulous so you feel like the star you are, but remain comfortable – which is totally possible and doesn't even have to be expensive if you use a Nordstrom 20% off coupon. 3) - Open Your Mouth and Let the Tongue Relax: Keeping your mouth mostly shut can lead to your tongue being tensed. 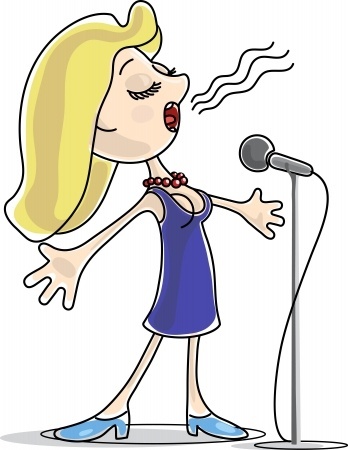 While singing, your tongue needs to remain relaxed and having sufficient moving space, otherwise you may fail to accomplish maximum quality of your singing tone. Check that the space between your teeth is big enough to accommodate two fingers while singing. 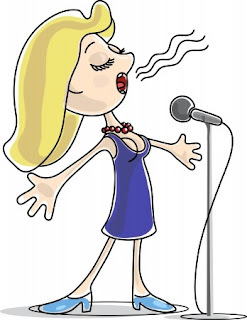 4) - Learn to Breathe the Right Way: This is an essential part of mastering the art of singing that helps you to better maintain the control of your voice by keeping it steady. By breathing in via your belly rather than the chest, take a deep breath prior to starting a new line to gather enough air to allow you sing out each word comfortably without breaks. 5) - Maintain the Right Posture: In order to achieve the best sound, a majority of singing coaches prefer standing instead of sitting. Remember also to relax your shoulders so as to enable you breathe freely while singing. It is also important that you raise your head a little and keep your larynx steady to ensure that your vocal cords produce your best sound. 6) - Train Yourself to Recognize Pitch: It would be great if you could take advantage of a piano here. When you press down on a key, try matching your voice with the sound that rings out using a simple sound like "ah" or “oh”. Do this repeatedly for all keys of the piano until you learn to sing in different pitches. Sharp notes are produced by the black keys. 7) - Finally, Keep Your Voice Healthy: This involves the kind of foods you eat, the level of exercise you do with your voice and if you are straining or overusing it often. Eat healthy foods, take the recommended minimum of eight glasses of water per day and avoid smoking. And just before singing, avoid consuming dairy products like cheese, yogurt and ice cream, as well as other sweet foods since they may lead to the accumulation of mucus in the throat and make singing difficult.